Munsch + ABCs = a perfect pair! What do airplanes, firetrucks, and princesses have in common? They're all found in the wonderful world of Robert Munsch and Michael Martchenko, whose stories and illustrations together have captivated readers for almost forty years. Now, in this exciting new format, they're back—brought together for the first time to help children learn their ABCs. Readers of all ages will delight in spotting favorite scenes and iconic characters in this classic Munsch mash-up, while initiates will fall in love with Martchenko's joyful imagery. 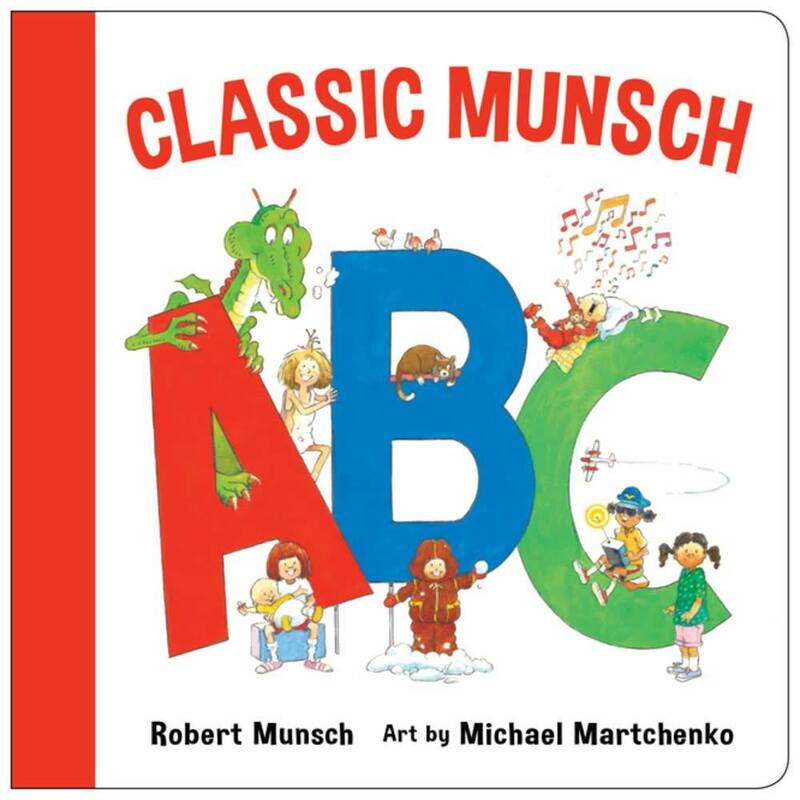 Bound in a sturdy oversized board book format perfect for gifting, Classic Munsch ABC is a must for every child's first library.